Hey There!, Can you believe that it's the end of the month already? Jeez. Well September is pretty much over and October is going to begin at midnight. 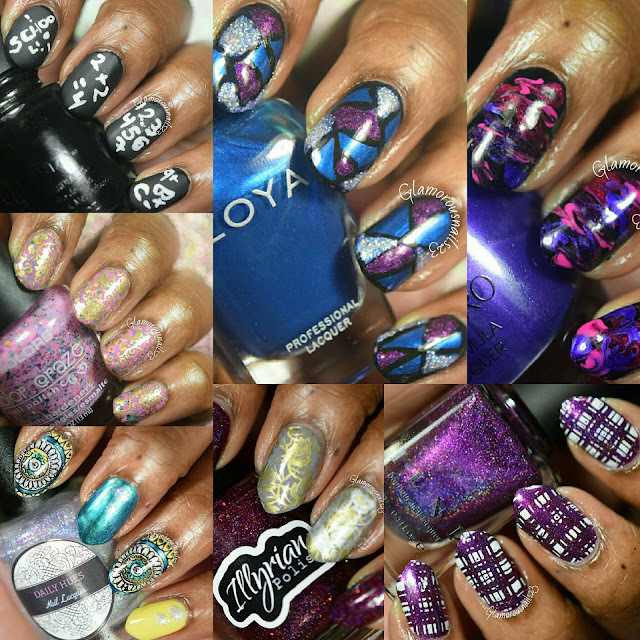 I'm actually getting this Monthly Mani Favorites post at the end of the month this time! I usually post it at the beginning of the following month lol. Anyways below is my Monthly Mani Favorites for this month. You can find a link to each individual mani (if you're interested) down below! I hope that you enjoyed my Monthly Mani Favorites. Is there a design that you feel I should have included? Do you have any Monthly Mani Favorites of your own? Let's chat down below! I love these round ups, good to see a variety of your work :) I can't decide a favourite between bottom left and top middle! Thanks Rebecca! :) I always like doing these! Thanks Rebecca! I always love doing these!